Archbishop Hurley's memoirs for the period 1915 to 1965, together with an account of the Archbishop's last 38 years up to his death in 2004.
courageous support for workers, conscientious objectors, victims of forced removals and many others suffering the effects of apartheid. Published by Cluster Publications in an attractive A4 'coffee table' format and richly illustrated with photos, graphics, maps, press clips and other historical documents. Memories is a collector's item, and a book you will treasure. Price: $16,00 or SAR 80,00 from Cluster Publications. In this book some 30 friends who have known and worked with Denis Hurley paint a portrait of him to honour his many years of service and especially the 50th anniversary of his appointment as Archbishop. The contributions cover the influences on his life; his ecclesiastical, educational and academic achievements; his stance on social justice; the role he played in the Second Vatican Council, and particularly in making the liturgy more accessible to lay people; his abilities as a hymn-writer; his fascination with the relationship between religion and science; his support for conscientious objectors and women's causes; his stand on issues of human sexuality and the gargantuan challenge of HIV/AIDS. Price: $15,00 or SAR 75,00 from Cluster Publications. 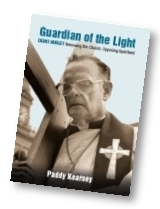 This selection of Hurley texts commemorates the half-century of his eventful episcopate. Twenty-three major articles, addresses or chapters of books are presented as well as a biographical essay by Anglican Bishop Frederick Amoore, a scholarly account of the archbishop's role in the Second Vatican Council by Philippe Denis OP and a bibliography of Hurley writings up to 1996 compiled by Joy Brain, archivist of the Durban Archdiocese. A few copies of this work are still available from Cluster Publications at the remarkably low price of SAR20.00). For other writings by Archbishop Hurley go to "Hurley Writing" on the main menu and especially to the Archival sources.